As with most cars these days, there''''s nothing glaringly wrong with the 2009 Lincoln MKZ. It rides smoothly, handles well, accelerates with alacrity and comes well-equipped even in base form. However, much the same could be said of the Ford Fusion, on which the MKZ is based. The problem is that Lincoln simply hasn''''t done enough to distinguish the MKZ from its competent but commonplace platform-mate. Sure, the MKZ receives the full Lincoln styling treatment inside and out -- but the younger demographic isn''''t likely to approve of the MKZ''''s chromed-out mug and staid retro-themed interior. And under the skin, it''''s basically a Fusion with 42 extra horsepower. That might be a good thing if the MKZ were a family sedan, but Lincoln is sending it into battle against heavy hitters like the Acura TL, Lexus ES350, Nissan Maxima and VW Passat. 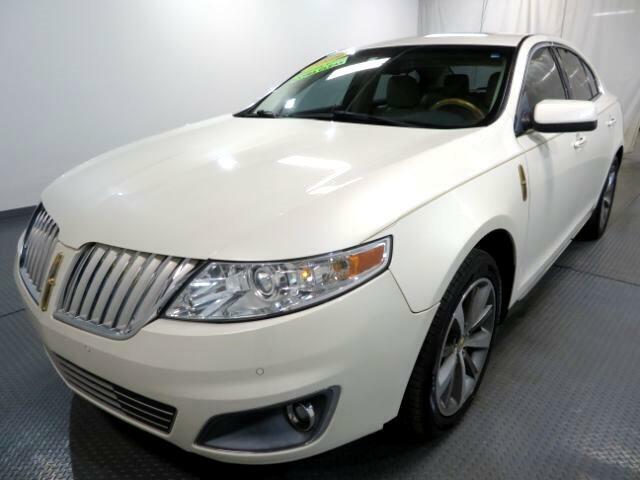 As competent as the MKZ is in most respects, it can''''t match the upscale ambience and dynamic excellence of these models. ***Internet special. Price reflects discount for cash buyers. Traditional and special financing is available for qualified buyers. Please contact us first for availability as our cars go fast at near wholesale prices. Prices are subject to change. Sales Tax, Title, License Fee, Registration Fee, Dealer Documentary Fee, Finance Charges, Emission Testing Fees and Compliance Fees are additional to the advertised price. All options and condition of the vehicles must be verified with the dealer, any descriptions or options that are listed maybe incorrect due to automatic data transfer.